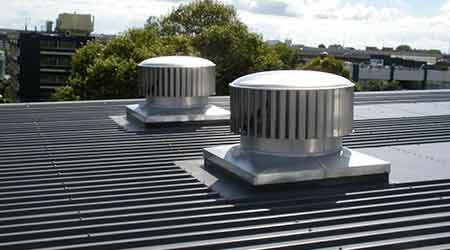 Edmonds USA has brought to America the first hybrid commercial rooftop ventilator, the ecoPOWER. Available in 3 sizes — 16 inch, 24 inch and 36 inch diameter throats — ecoPOWER is the first rooftop ventilator to combine gravity and motorized ventilation. Building engineers and architects are using this highly efficient hybrid rooftop ventilator to reduce the cost of energy for cooling and ventilating warehouses, factories, greenhouses, schools/universities, gymnasiums, wastewater treatment plants and many other types of buildings.